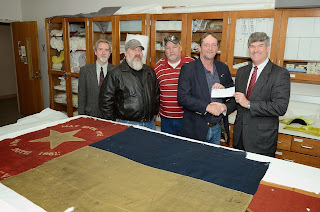 Sons of Confederate Veterans Funds Conservation of Another Battle Flag At Museum of History, Michael Hudson, Beach Carolina Magazine, December 16, 2013. On November 21, 2013, members of the Sons of Confederate Veterans, Camp 379 in Marion, North Carolina, presented an $8,200 check to staff at the North Carolina Museum of History in Raleigh. The funds will be used for specialized conservation treatment of a battle flag carried by the 35th Regiment North Carolina Troops during the Civil War. The generous gift was the result of two years of fund-raising by Camp 379. “It is an honor for Camp 379 to help preserve a part of North Carolina’s important history for future generations,” noted Jeff Cordell, Commander, North Carolina Division, Sons of Confederate Veterans, Camp 379. The historic banner is part of the museum’s Confederate flag collection, one of the largest in the nation. The standard wool-bunting state flag is missing its regimental numbers, possibly cut away as a souvenir during the war. 35th Infantry Regiment completed its organization in November, 1861, at Camp Mangum, near Raleigh, North Carolina. Its members were raised in the counties of Mecklenburg, Onslow, McDowell, Moore, Chatham, Person, Union, Henderson, Wayne, and Catawba. 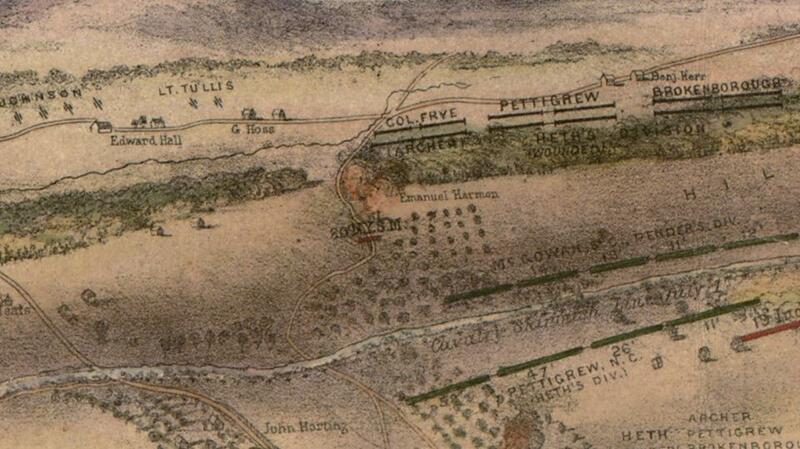 After fighting at New Bern, the regiment was ordered to Virginia and assigned to General R. Ransom's and M.W. Ransom's Brigade. It participated in the difficult campaigns of the Army of Northern Virginia from the Seven Days' Battles to Fredericksburg. Ordered back to North Carolina, it fought at Boon's Mill and Plymouth , then returned to Virginia in May, 1864. 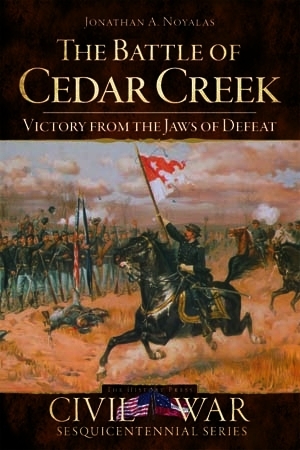 The 35th saw action at Drewey's Bluff , endured the hardships of the Petersburg Campaign siege south of the James River, and ended the war at Appomattox. This unit sustained 127 casualties at Malvern, 25 in the Maryland Campaign, 29 at Fredericksburg, and 103 at Plymouth. Many were disabled at Saylor's Creek, and on April 9, 1865, it surrendered 5 officers and 111 men. 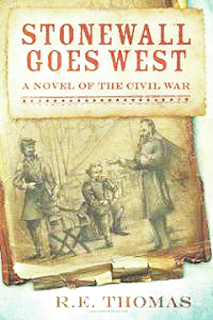 The field officers were Colonels James T. Johnson, John G. Jones, Matthew W. Ransom, and James Sinclair; Lieutenant Colonels M.D. Craton, Oliver C. Petway, and Simon B. Taylor; and Majors John M. Kelly and Robert E. Petty. 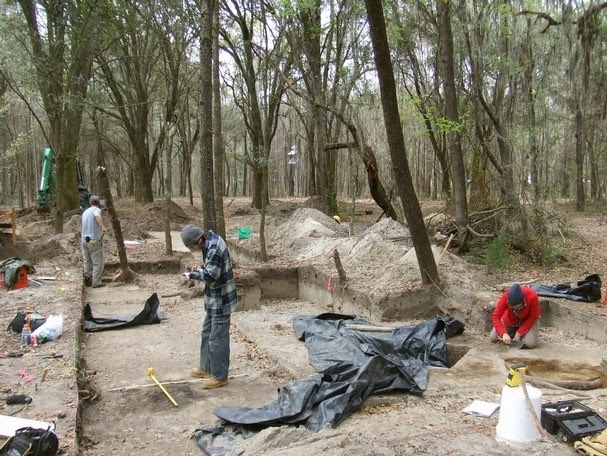 Archaeologists Discover Slave Artifacts Were Georgia Highway Project Will Cross Georgia Plantation Site, Russ Bynum, Associated Press, December 1, 2013. 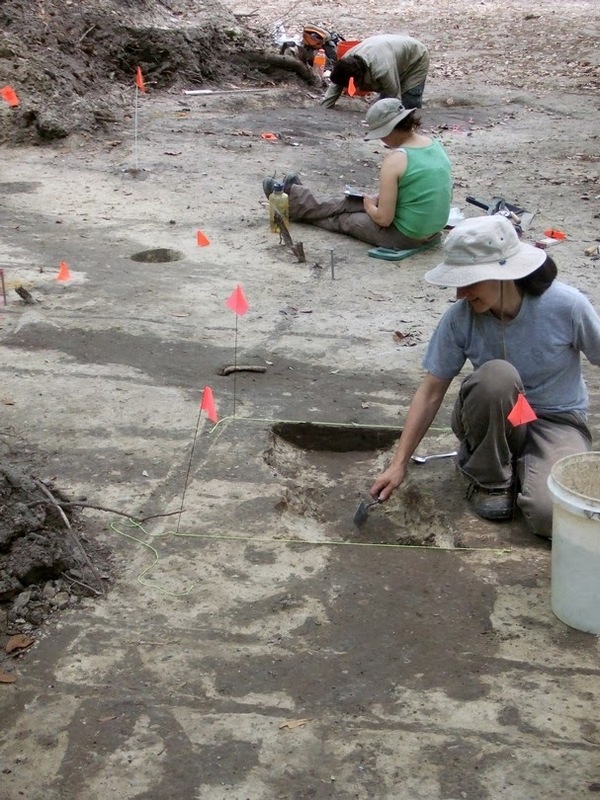 A Mexican coin punctured with a small hole, nails from long-decayed wooden dwellings, and broken bits of plates and bottles are among thousands of artifacts unearthed from what archaeologists suspect were once slave quarters at the site of a planned highway project in Savannah. A team hired to survey the site by the Georgia Department of Transportation spent three months excavating 20 acres of undeveloped woods tucked between a convenience store and apartments off busy Abercorn Extension on Savannah's suburban south side. Archaeologist Rita Elliott said the project yielded a staggering 33,858 artifacts believed to date from about 1750 until after the Civil War. Historical records show that a wealthy Savannah attorney named William Miller owned a large plantation at the site and at one time had 87 slaves, Elliott said. Archaeologists didn't find the main plantation house but believe many of the artifacts they found are consistent with slave dwellings. "These people are pretty anonymous in the historical records," Elliott said. "The archaeology may not tell us much about their names, but it will tell us about their lives." As for the sheer volume of items recovered at the site, Elliott said, "It's not unheard of. But this is a lot of artifacts." The plantation site had plenty of high ground that probably would have been used for growing row crops, while the lower-lying marshlands would have been suitable for growing rice. Records show that two planters owned the land until Miller bought it all in the mid-1850s. Clusters of nails found in the ground indicate that buildings were made from wood instead of brick, Elliott said. Archaeologists uncovered small pits used to store items in the floors of dwellings and dug up no window glass, further evidence the site had crude structures occupied by slaves. Archaeologists found a silver Mexican coin from 1831 with a hole punched near the edge, as if it had been worn as a pendant. An 1865 penny was recovered from a pit. Researchers also found fragments of brick, broken dishes and bottles, a cast iron pot and a small brass thimble. A small part of the site also turned up clues that some Union troops of Gen. William T. Sherman camped out at the site around the time Savannah was seized in1864. Archaeologists found bullets from muskets and uniform buttons, as well as what appear to be spikes used to hold down tents. 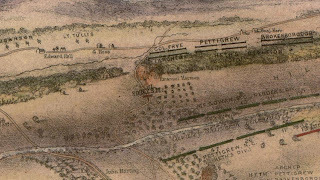 Elliott said records show that some of Sherman's troops marched right through Miller's plantation en route to Savannah. She estimates that several hundred camped there. The archaeological work was ordered as part of the pre-construction phase of a $30.3 million dollar project to elevate Ga. 204, which links Savannah's south side to Interstate 95, above a busy residential crossing. Archaeological research was required for the project because it uses federal transportation money. Construction is scheduled to begin next year. "It is rare, and it's an opportunity that we enjoy," Georgia DOT spokeswoman Jill Nagel said of the plantation discovery. "We're preserving Savannah's history." Since field work at the site ended in May, archaeologists have kept busy in the laboratory cleaning and examining each artifact, looking for clues to piece together the stories of slaves who lived on Miller's plantation. Eventually the artifacts will be turned over to the University of West Georgia in Carrollton for safe keeping. 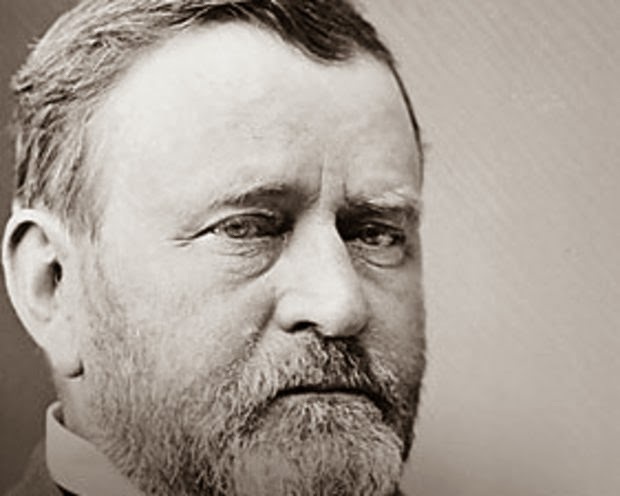 Disputed Sale of Civil War General Ulysses S. Grant's Coat and Cup Prompts Legal Battle, Fraud Claims by Gettysburg Antiques Seller, Matt Miller, Patriot-News' Penn Live Web Site, November 29, 2013. Nearly 150 years after it ended, the Civil War is still big business. And the sale of some property of one of its key figures is now fodder for a federal lawsuit. 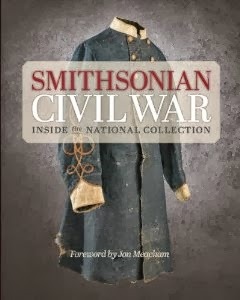 A legal battle just begun in U.S. Middle District Court centers on claims by the owners of a military antiques shop in Gettysburg that they are owed a share of a $1.6 million to $1.85 million sale of a coat and cup once owned by Union Gen. Ulysses S. Grant, one of the war's top commanders and a former U.S. president.There is a bit of North-South friction as well. The owners of The Horse Soldier on Steinwehr Avenue contend that a Virginian, Donald Tharp, defrauded them out of their cut on the sale of the Grant artifacts. The Horse Soldier owners, Patricia, Sam and Wesley Small, fired their first shot in the fight by suing Tharp in Adams County Court in late October. Tharp is now seeking to have the dispute moved to the federal court in Harrisburg. In their complaint, the Smalls claim that in 1995 they discovered several Grant artifacts were up for sale. The Smalls and another man approached Tharp with a proposition for a joint financing deal to come up with the money to buy Grant's coat and cup. Under that oral agreement, Tharp was to receive 10 percent interest annually on his investment, but no more than $160,000, until the artifacts sold, according to the suit. Once they sold, Tharp was to get 55 percent of the profit, with the Smalls receiving 25 percent and 20 percent going to the other investor, the Smalls claim. The Grant pieces were in the Smalls' store for about three weeks before Tharp asked to borrow the coat and cup to display at his home. The Smalls claim they agreed to turn them over because they'd had dealings with Tharp before and trusted him. However, the Smalls claim in their suit that, without telling them, Tharp sold the items for at least $1.6 million to more than $1.8 million, with Grant's coat going for around $1.5 million. The suit does not state when the sale took place, but the Smalls claim that they didn't learn that the artifacts had been sold until 2010. They contend that Tharp has refused to pay them the money they are owed for the sale, and has ignored a June 2011 arbitration decision that found in their favor. They want the court to rule that their agreement with Tharp is binding and that he must pay up on claims of breach of contract and unjust enrichment. Specifically, the Smalls are seeking $380,000, plus interest and legal fees. Tharp's attorney, Ralph J. Kelly, and Steven E. Grubb, the lawyer representing the Smalls, weren't immediately available for comment Friday. Text and Image Source: Patriot-News' Penn Live Web Site, November 29, 2013. Those Who Fought: Allegheny County, Pa., and the Gettysburg Campaign, Arthur B. Fox, Mechling Bindery, 202 pages, Softbound, $19.95. From the Publisher: The first book that specifically recognizes the role of Allegheny County, Pa., in the Battle of Gettysburg and honors the local soldiers who fought there. 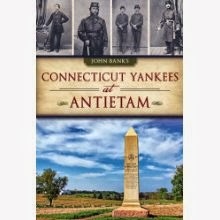 The author presents the human side of the soldier, and adds vital facts of the regiments and current efforts to memorialize them. 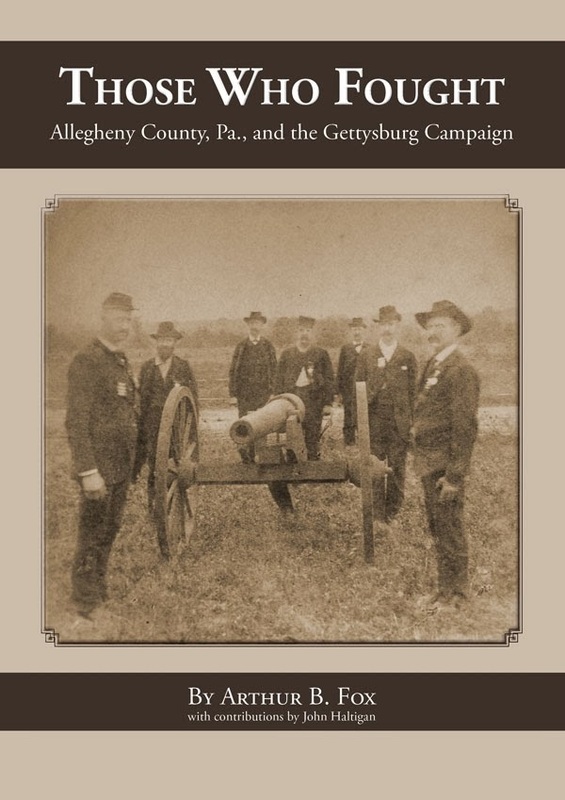 From the Pittsburgh Post-Gazette: [excerpt] " The book is the third volume in a trilogy Mr. Fox has written about the region's military role at the time of the War Between the States. His earlier works are Pittsburgh During the American Civil War: 1860-186" and Our Honored Dead: Allegheny County, Pa., in the American Civil War. 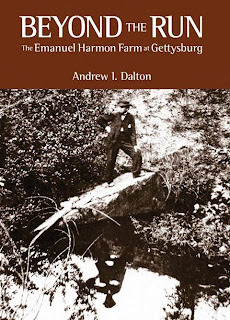 All three books are published by Mechling Bookbindery in Chicora, Butler County. 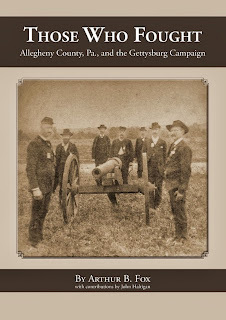 "Those Who Fought" was planned as a much longer work looking at the experiences at Gettysburg of soldiers from 10 counties in southwestern Pennsylvania. Its 50,000 words now concentrate on units recruited mostly from Allegheny County. I Found Real Abraham Lincoln! 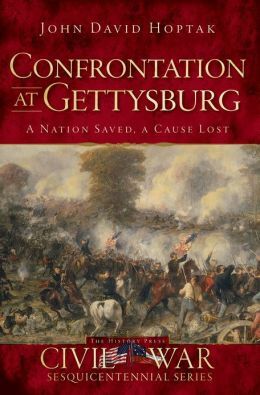 Armchair Historian Disputes 2007 Claim, Michael Sheridan, September 24, 2013. Armchair historian disputes 2007 claim, says he's found the actual 16th President in famed Gettysburg Address photo. Assistant professor and animator Christopher Oakley, who is working with his students on a Virtural Lincoln Porject to celebrate the 150th anniversary of the Gettysburg Address, claims his Lincoln is the correct one. He never believed the claim six years ago that focused on another person in the same Alexander Gardner photo. They got the wrong man. An animator and teacher at a North Carolina college says the man believed to be President Abraham Lincoln on horseback in a famed photo taken 150 years ago isn’t him. Instead, the slain 16th President is actually farther to the right. The “Where’s Waldo”-like discovery by Christopher Oakley, an assistant professor of new media at the University of North Carolina-Asheville, was revealed Tuesday. And his potentially historic find came completely by accident. “I was actually looking for William Seward,” Lincoln’s Secretary of State, the 51-year-old told the Daily News. Oakley was studying the image as part of the university’s Virtual Lincoln Project, a computer animated, interactive 3D film that celebrates the 150th anniversary of the Gettysburg Address in November. 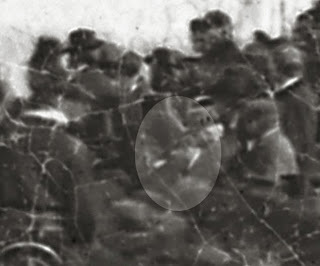 It was during an early morning examination in March of the image captured by famed photographer Alexander Gardner that he came across the man he immediately knew to be Abraham Lincoln. “You ever have that feeling that you’re about to fall out of bed, and your heart is racing?” he said, describing how he felt the moment he saw that stovepipe hat. 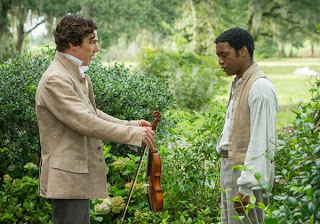 An Escape From Slavery, Now A Movie, Has Long Intrigued Historians, Michael Cieply, New York Times, September 22, 2013. In the age of “Argo” and “Zero Dark Thirty,” questions about the accuracy of nonfiction films have become routine. With “12 Years a Slave,” based on a memoir published 160 years ago, the answers are anything but routine. Written by John Ridley and directed by Steve McQueen, “12 Years a Slave,” a leading contender for honors during the coming movie awards season, tells a story that was summarized in the 33-word title of its underlying material. Published by Derby & Miller in 1853, the book was called Twelve Years a Slave: Narrative of Solomon Northup, a Citizen of New-York, Kidnapped in Washington City in 1841, and Rescued in 1853, From a Cotton Plantation Near the Red River, in Louisiana. The real Solomon Northup — and years of scholrly research attest to his reality — fought an unsuccessful legal battle against his abductors. 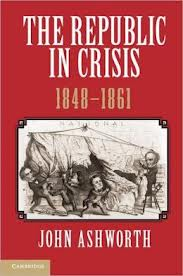 But he enjoyed a lasting triumph that began with the sale of some 30,000 copies of his book when it first appeared, and continued with its republication in 1968 by the historian Sue Eakin. Speaking on Friday, Mr. Ridley said he decided simply to “stick with the facts” in adapting Northup’s book for the film, which is set for release on Oct. 18 by Fox Searchlight Pictures. 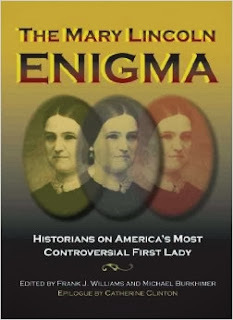 Mr. Ridley said he was helped by voluminous footnotes and documentation that were included with Ms. Eakin’s edition of the book. For decades, however, scholars have been trying to untangle the literal truth of Mr. Northup’s account from the conventions of the antislavery literary genre. The difficulties are detailed in “The Slave’s Narrative,” a compilation of essays that was published by the Oxford University Press in 1985, and edited by Charles T. Davis and Henry Louis Gates Jr. (Mr. Gates is now credited as a consultant to the film, and he edited a recent edition of “Twelve Years a Slave.”) “When the abolitionists invited an ex-slave to tell his story of experience in slavery to an antislavery convention, and when they subsequently sponsored the appearance of that story in print, they had certain clear expectations, well understood by themselves and well understood by the ex-slave, too,” wrote one scholar, James Olney. Mr. Olney was explaining pressures that created a certain uniformity of content in the popular slave narratives, with recurring themes that involved insistence on sometimes questioned personal identity, harrowing descriptions of oppression, and open advocacy for the abolitionist cause. 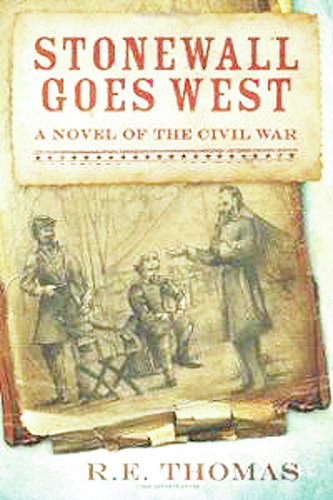 In his essay, called I Was Born: Slave Narratives, Their Status as Autobiography and as Literature, Mr. Olney contended that Solomon Northup’s real voice was usurped by David Wilson, the white “amanuensis” to whom he dictated his tale, and who gave the book a preface in the same florid style that informs the memoir. 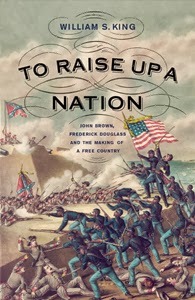 “We may think it pretty fine writing and awfully literary, but the fine writer is clearly David Wilson rather than Solomon Northup,” Mr. Olney wrote. 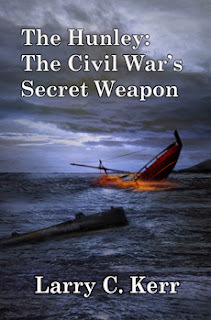 From The Publisher: The Civil War was the greatest health disaster the United States has ever experienced, killing more than a million Americans and leaving many others invalided or grieving. 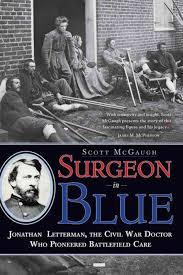 Poorly prepared to care for wounded and sick soldiers as the war began, Union and Confederate governments scrambled to provide doctoring and nursing, supplies, and shelter for those felled by warfare or disease. During the war soldiers suffered from measles, dysentery, and pneumonia and needed both preventive and curative food and medicine. 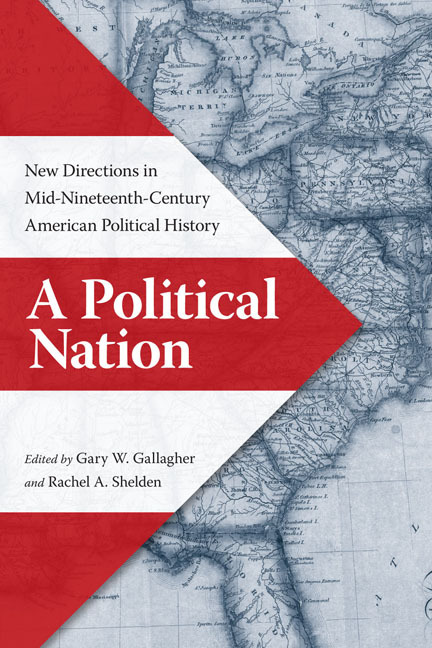 Family members—especially women—and governments mounted organized support efforts, while army doctors learned to standardize medical thought and practice. 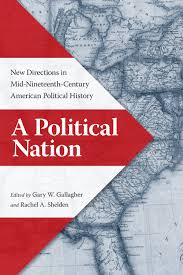 Resources in the north helped return soldiers to battle, while Confederate soldiers suffered hunger and other privations and healed more slowly, when they healed at all. In telling the stories of soldiers, families, physicians, nurses, and administrators, historian Margaret Humphreys concludes that medical science was not as limited at the beginning of the war as has been portrayed. Medicine and public health clearly advanced during the war—and continued to do so after military hostilities ceased. One of the most prestigious medals earned by one of Maine’s most decorated sons was discovered at a church sale and turned over to a Brunswick-based organization for safe keeping, the group announced Monday. The U.S. Army Medal of Honor was awarded to Civil War hero Joshua Chamberlain — who would go on to become president of Bowdoin College and governor of Maine — in 1893 for “distinguished gallantry” in the Battle of Gettysburg 30 years earlier.The artifact was given to the Pejepscot Historical Society, which owns the Joshua L. Chamberlain Museum in Brunswick, by a donor who wishes to remain anonymous, the organization announced Monday afternoon. The individual who came to own the medal found it in the back of a book he had purchased “several years ago” at a sale held by First Parish Church in Duxbury, Mass., according to the society. Chamberlain was a Brewer native who later attended Bowdoin College and led the Union Army’s 20th Maine Infantry Regiment in its crucial defense of the Little Round Top high-ground at Gettysburg, a stand considered by many historians to be one of the defining moments of the Civil War. 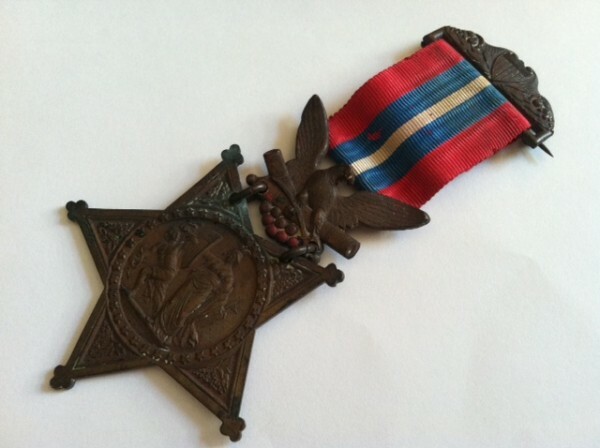 Bowdoin College has in its possession a 1904 Army Medal of Honor that belonged to Chamberlain, representing an updated design of the award authorized by Congress at the time, according to the Pejepscot Historical Society. The Legislature allowed recipients to keep their previous versions of the medal as long as they did not display both at the same time, and the 1893 artifact now in the society’s collection represents the earlier award. Blanchard worked with experts at the Maine State Museum, the Library of Congress, the Smithsonian, and the Department of the Army’s Awards and Decorations Branch to confirm the medal’s authenticity, according to the society’s Monday announcement. 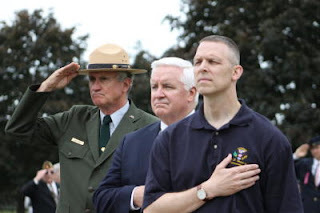 After 40 years of service with the National Park Service, Bob Kirby, superintendent of the Gettysburg National Military Park, is retiring at the end of the year. Kirby, a 64-year-old Freedom Township resident, said he intends to stick around an area that he loves. “This place has everything I'm looking for and I've lived all over the country,” Kirby said. He said he is still hopeful the federal government can find a way to pass legislation that would bring the Lincoln Train Station on Gettysburg's Carlisle Street within the boundary of the national park by Nov. 19, the 150th anniversary of President Abraham Lincoln's famous Gettysburg Address. “It's hard to say what's going to happen,” Kirby said. “Congress is always distracted but it's a noncontroversial piece of legislation supported by (Pennsylvania) Congressman Scott Perry and Senators Pat Toomey and Bob Casey.” Katie Lawhon, spokesperson for the National Park Service, said taking on so many projects and being a part of the Civil War 150th commemoration is fantastic, but that it is especially fun with a great leader like Kirby. Text and Image Source and Story continued at The Evening Sun, September 5, 2013. 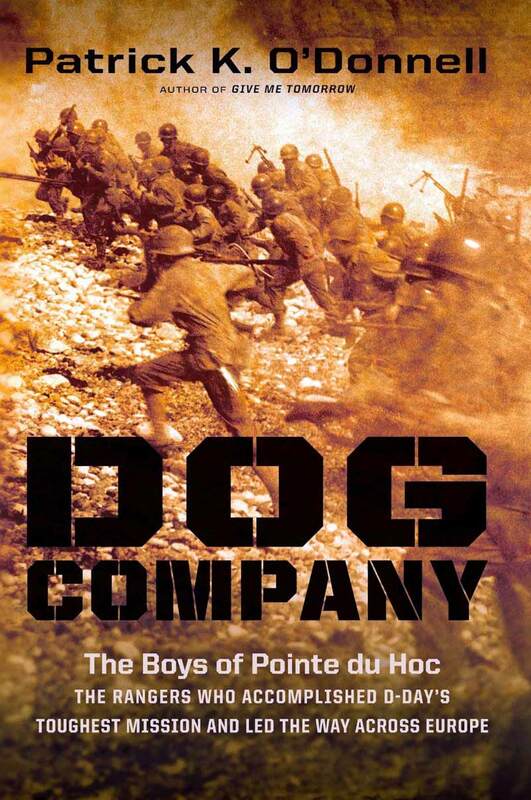 Dog Company: The Boys of Pointe du Hoc, The Rangers Who Accomplished D-Day's toughest Mission and Led The Way Across Europe, Patrick K. O'Donnell, DaCapo Press, 320 pp., 2012, $26.99. Patrick O'Donnell's Dog Company: The Boys of Pointe du Hoc, The Rangers Who Accomplished D-Day's toughest Mission and Led The Way Across Europe is a very dramatic account of the U.S. Army Rangers 1944 to 1945 combat history. He has collected the Ranger's oral accounts of Pointe du Hoc, the Normandy breakout, and Hill 400 in Hurtgen Forest and has woven them into a vivid, well paced, suspenseful work of history. Bravery nearly beyond belief and courage that nearly beyond endurance is a constant in these episodes. The words of the soldiers of Company D, Second Ranger Battalion were transcribed by O'Donnell, himself a combat veteran. He understands combat from a boots-on-the-ground perspective. 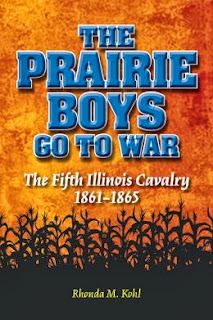 Creeping artillery barrages, death by friendly fire, and deaths from sharpshooters are not unique single occurrences but regularly occur throughout the book. O'Donnell is also a masterful interviewer who is able to elicit candid remarks from the veterans. There are frank recollections of the insubordination of enlisted men toward commissioned offices; the one and two syllable responses of enlisted men to officers is not rare. O'Donnell sets the strategic and tactical information forth in a concise manner. The veterans voices are heard more often than the authors. There is an occasion when O'Donnell enters the story. The ferocity of the combat in the Hertgen Forrest during late November and early December should have warned the generals that the U.S. Army had advanced into a situation that was indicative of something larger to come. O'Donnell is clear in his own interpretation that the Hertgen Forest was a trip wire for the Ardennes Forrest, which was to explode the last weeks of December. Patrick K. O'Donnell is a military historian and the award-winning author of seven books, including the bestselling Beyond Valor, Give Me Tomorrow, and We Were One, the remarkable and highly acclaimed account of the Battle of Fallujah. He was an historical consulting for DreamWorks' the miniseries Band of Brothers and for documentaries produced by the BBC, the History Channel, and Fox News. was a member of a liberal Protestant church. William Percy introduced Walker and his brothers to the regional writers and poets his own age. Shelby Foote became a lasting friend. Later, Walker and his wife would both join the Roman Catholic Church and they were confirmed with their children. 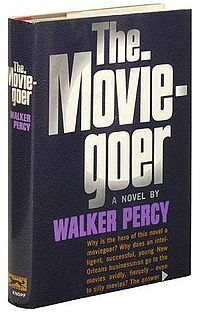 Many years of writing and rewriting,in 1961 Percy published The Moviegoer, his first novel; it won the National Book Award of that year. 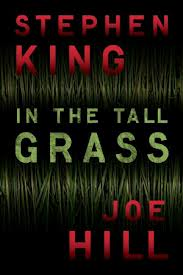 He described it as a story of "a young man who had all the advantages of a cultivated old-line southern family including an appreciation the arts and sciences but feels himself quite alienated from both worlds, the old South and the post World War Two America. Time magazine included it among the best English language written between 1923 to 2005". Other list compilers agreed. The Moviegoer contains elements of both existentialism and poetry. In The Moviegoer Binx Bolling, a young stock-broker in post- Korean War lives in New Orleans and vaguely understands that the traditions of the Old South are in decline. Included in these traditions are established families and social relationships. Bolling continually day dreams, has troubling establishing deep friendships and is quite content to view life and relationships explained through film. Spiritually he is depressed and unengaged. 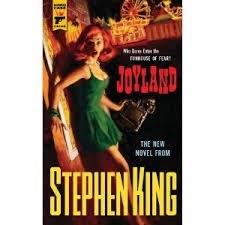 During Mardi Gras begins a journey to find for himself something other than big screen stories. Bolling wanders through parades, the French Quarter and then travels to Chicago and back to the Gulf Coast. Family members and occasionally friends superficially intrude into his thoughts and observations. 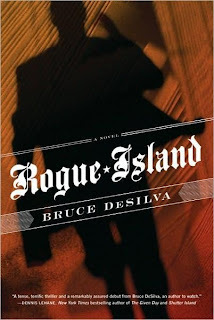 In several ways, he travels the same philosophic and religious path that Jack Kerouac treads in On The Road. Percy's The Moviegoer is more sedate, less adventurous than Kerouac's On The Road. Percy's The Moviegoer shares with Kerouac's On The Road a narrative in which the main character is much more compelling than the country through they pass and the journey which they take. At it's core, The Moviegoer presents an individual numb from war, allowing Hollywood movies explain life, roles and relationships to him. He is satisfied with that explanation bcause it protects him from disappoints and risks in relationships and his own self-awareness. Percy's works include The Last Gentleman , Love In The Ruins , The Second Coming  and The Thanatos Syndrome . He also published non-fiction works on the philosophy of existentialism, symbolism and communication theory. He taught at Loyola University in New Orleans, helped found the Fellowship of Southern Writers, and received the University of Notre Dames' Laetare Medal in recognition for his contribution to the arts and science, the ideals of the Catholic Church and humanity. The National Endowment for the Humanities chose him as the Thomas Jefferson lecturer of 1989; his lecture was entitled 'The Fateful Rift: The San Andreas Fault in the Modern Mind."